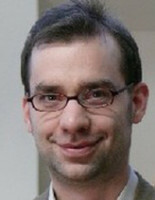 Felix Mundt is a professor of Latin Philology at Humboldt-Universität zu Berlin with a focus on late antique and new Latin literature. Besides investigating the representation of the city in Greek and Latin literature in the imperial period, his research focuses on ancient and early modern historiography and biography, epistolary literature and Latin and Greek lyric. Furthermore, he aims to connect ancient Latin literature with both Greek and new Latin tradition, e.g. in his habilitation on the reception of Greek poets by the Augustan poets, in shorter works on early modern imitations of ancient works and in a new edition of the anthropological works of Philipp Melanchthon (in cooperation with Christoph Helmig and Bernd Roling). At Topoi Felix Mundt investigates the description of cities, landscapes and architecture in Latin and Greek literature of the late antiquitiy and early modernity. Within the research project (C-6-5) Intellectual Spaces in Narratives of the City he studies the representation of Rome and Carthage in the imperial pagan and Christian literature. Since October 2012 he has been the spokesperson of the doctoral program Ancient Languages and Texts offered by the Berlin Graduate School of Ancient Studies (BerGSAS). Öffentliche Kommunikation in Rom in der Historia Augusta und anderen Texten zum 2. u. 3. Jh.